Trying to frame Eileen Cuce’s work into one clever sentence is nearly impossible. 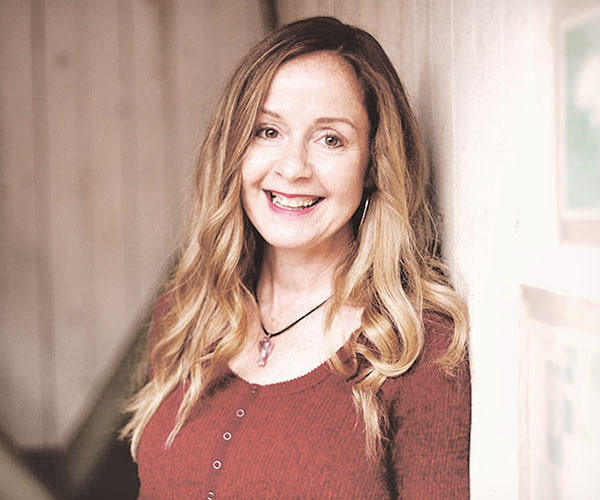 Her knowledge, practice, and relatable personal experiences are vast--covering everything from holistic health and nutrition, Chinese herbal medicine, integrated polarity therapy and cranial sacral therapy. Relentless in her search for knowledge that can feed into her healing techniques, Cuce never ceases continuing her education in the latest research and/or approaches to healing —both Eastern and Western medicine. “My passion is healing. Nurturing each person at their root so to eliminate symptoms and disease and enabling them to live happy, balanced lives,” she explains. She is driven by a personally challenging time when three members of her family (including herself) developed autoimmune illnesses. “The occurrence of all of our initial diagnoses having been within a year and a half after family turmoil made me ask the question how does stress affect health, and specifically autoimmune illness,” she says. “I began to delve deeply into the study of the connection between mind and body and how the body's symptoms are related to the nervous system on such a base level.” She believes with the proper diet and lifestyle adjustments her children now live very healthy lives and she has healed my autoimmune thyroid disorder with a combined approach of herbal strategies, bodywork and proper diet. “I am symptom-free and take no medication,” she says of her Hashimoto's Thyroiditis. At the foundation of her work, Cuce is a Chinese Herbalist and a graduate of the New York Institute of Herbal Medicine and Nutrition. Eileen attended the Rose Program for Detoxification practitioner training in NYC, and is board certified by the American Association of Drugless Practitioners. She has studied with some of the most renowned teachers like Mark Hyman and Andrew Weil in the nutrition field, to Deepak Chopra in mind & body medicine. Whether Eileen is treating a client suffering from anxiety, depression, digestive disorders, or pain management, she believes it is ‘imperative to address the spirit’ and notes that ‘Getting to the root of the issue through deep imbalances that are often nervous system based,’ are vital to the client’s recovery. * personalized detoxification programs using whole or raw foods.